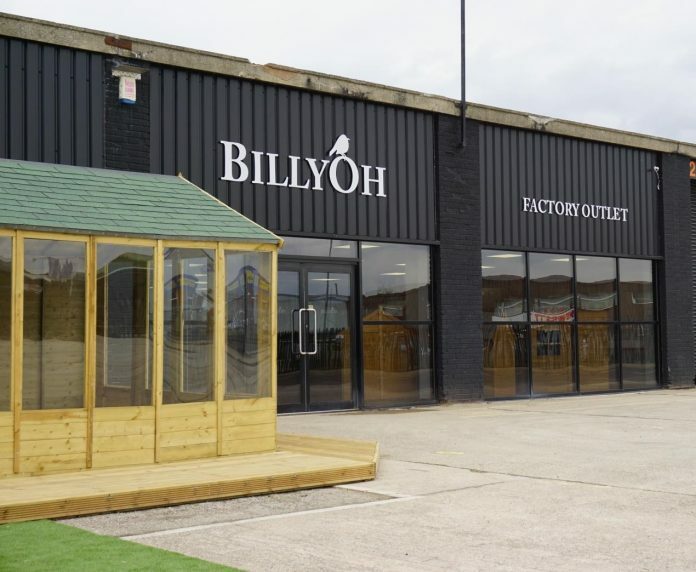 One of the UK’s biggest garden building manufacturers has opened a factory outlet in Worksop. Kybotech has opened its BillyOh Factory Shop on its site at the Dukeries Industrial Estate in the town. Over £200,000 has been invested in the outlet, to create a store where customers can see the buildings, normally only available online, before making their buying decision. Three additional staff have been taken on to run the outlet, which will be open to the public seven days a week. Kybotech has been established for almost 20 years with the company now manufacturing sheds and outdoor buildings from its site in Worksop. Recently the company has invested millions in machinery to increase efficiency and improve output from the factory. Founder of Kybotech, Charles Walton said: “The shop is our first bricks and mortar outlet and we’re delighted that we’ve been able to open it in Worksop and take on three new members of staff from the local area. “I launched the company in 2000 and since then we’re always sold our designs online only. We’ve never sold through other retailers or in a shop or garden centre environment, so this is a first.